Were Hedge Funds Right About Flocking Into ServiceNow Inc (NYSE:NOW)? The Insider Monkey team has completed processing the quarterly 13F filings for the December quarter submitted by the hedge funds and other money managers included in our extensive database. Most hedge fund investors endured a torrid quarter, which certainly propelled them to adjust their equity holdings so as to maintain the desired risk profile. As a result, the relevancy of these public filings and their content is indisputable, as they may reveal numerous high-potential stocks. The following article will discuss the smart money sentiment towards ServiceNow Inc (NYSE:NOW). ServiceNow Inc (NYSE:NOW) has experienced a decrease in enthusiasm from smart money in recent months, however, hedge fund sentiment towards the stock is still near its all time high (see the graph below). Today there are several methods market participants can use to size up stocks. A couple of the less utilized methods are hedge fund and insider trading indicators. Our researchers have shown that, historically, those who follow the best picks of the best hedge fund managers can beat the market by a healthy amount (see the details here). 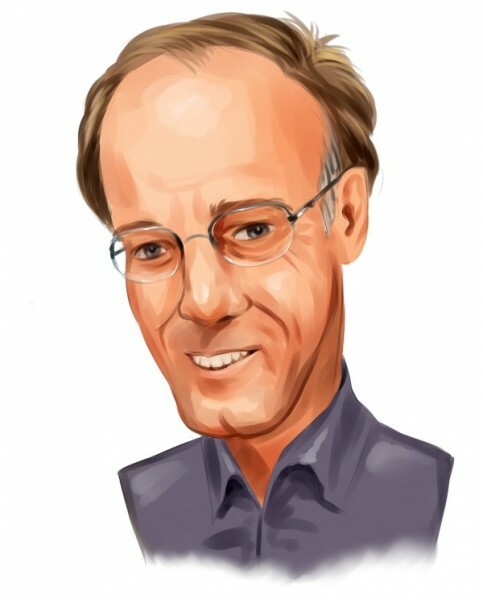 Let’s view the new hedge fund action surrounding ServiceNow Inc (NYSE:NOW). What does the smart money think about ServiceNow Inc (NYSE:NOW)? At Q4’s end, a total of 61 of the hedge funds tracked by Insider Monkey were bullish on this stock, a change of -6% from the second quarter of 2018. 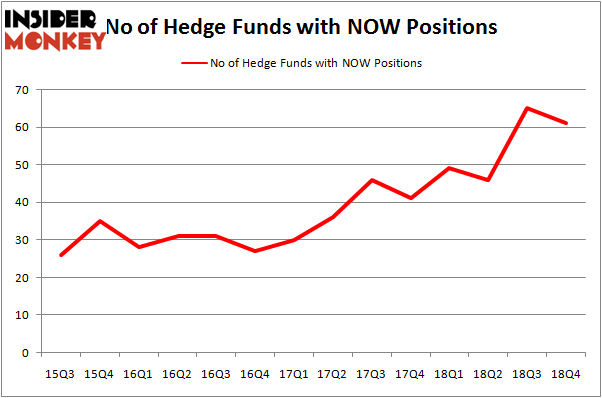 By comparison, 49 hedge funds held shares or bullish call options in NOW a year ago. With the smart money’s capital changing hands, there exists a few notable hedge fund managers who were boosting their holdings significantly (or already accumulated large positions). More specifically, Lone Pine Capital was the largest shareholder of ServiceNow Inc (NYSE:NOW), with a stake worth $470.4 million reported as of the end of September. Trailing Lone Pine Capital was Coatue Management, which amassed a stake valued at $379.2 million. Tiger Global Management LLC, Two Sigma Advisors, and Corvex Capital were also very fond of the stock, giving the stock large weights in their portfolios. Because ServiceNow Inc (NYSE:NOW) has faced a decline in interest from the entirety of the hedge funds we track, it’s safe to say that there was a specific group of hedgies that elected to cut their full holdings in the third quarter. At the top of the heap, Zach Schreiber’s Point State Capital cut the biggest stake of the “upper crust” of funds tracked by Insider Monkey, totaling about $216.7 million in stock, and Alex Sacerdote’s Whale Rock Capital Management was right behind this move, as the fund dropped about $121 million worth. These transactions are important to note, as aggregate hedge fund interest fell by 4 funds in the third quarter. Let’s check out hedge fund activity in other stocks – not necessarily in the same industry as ServiceNow Inc (NYSE:NOW) but similarly valued. These stocks are LyondellBasell Industries NV (NYSE:LYB), Koninklijke Philips NV (NYSE:PHG), Valero Energy Corporation (NYSE:VLO), and HP Inc. (NYSE:HPQ). This group of stocks’ market valuations are closest to NOW’s market valuation. As you can see these stocks had an average of 30.75 hedge funds with bullish positions and the average amount invested in these stocks was $977 million. That figure was $2670 million in NOW’s case. HP Inc. (NYSE:HPQ) is the most popular stock in this table. On the other hand Koninklijke Philips NV (NYSE:PHG) is the least popular one with only 14 bullish hedge fund positions. Compared to these stocks ServiceNow Inc (NYSE:NOW) is more popular among hedge funds. Our calculations showed that top 15 most popular stocks among hedge funds returned 19.7% through March 15th and outperformed the S&P 500 ETF (SPY) by 6.6 percentage points. Hedge funds were also right about betting on NOW as the stock returned 35.9% and outperformed the market as well. Were Hedge Funds Right About Ecolab Inc. (ECL)? Is Vertex Pharmaceuticals Incorporated (VRTX) A Good Stock To Buy? Were Hedge Funds Right About Selling Northrop Grumman Corporation (NOC)? Is Illinois Tool Works Inc. (ITW) A Good Stock To Buy? Were Hedge Funds Right About Getting Into Bank of Montreal (BMO)? Were Hedge Funds Right About Dumping FedEx Corporation (FDX)?